I am having trouble with sores on my legs and arms that won't go away and I don't know what is causing them or how to get rid of them. It all started when I took in some kittens that were absent from their mother. I didn't realize how sick they were. I felt so sorry for them as they looked so terrified. Their eyes were closed shut and I had to clean them at least 3 times a day. Mind you there were 5 of them. I had to bottle feed them, too! It was not easy, but I had to do something. It took me over a year to get them well enough to live. They all would have died. Well, long story short... I ended keeping all 5 of them because I got so attached to all of them. 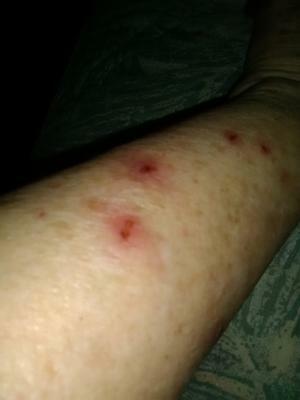 Now about me, for the past 4 or 5 months I have been getting these sores on my legs and arms and they are getting worse. If I pick them, a little brown bug comes out and it starts to bleed and the sore gets all inflamed. It also take a long time to heal and leaves a hole and a very ugly scar and sometimes it gets reinfected with more brown bug. I just don't know what to do with this because I don't know what it is. I wonder if it came from the kittens. I don't feel them moving around or they don't itch real bad but they look so ugly and are destroying my skin and are inflamed and hurt to the touch. Sometimes if I scratch my skin there are tiny little black dots appear. I don't want to go to the doctor because I don't want to be told that it's nothing. I have been reading up on things I think it might be, but it's too much ...this or that and it's worse each day. ACE BLEACH..ALFALFA POWDER.... TURMURIC POWDER..MIX TOGETHER...BINGO..KILLS THE INFECTION..
Hi, I as have a few ,quite a few been in a battle with what seemed to be some unknown tiny bug that was out to eat you. Well, I have found after a few years of this , that a few things work. #1 100% un-refined (dont get refined) Coconut oil,Sulphur products like sulpher 8 a medicated shampoo I believe which you can use on skin too. The person posted try to lower LOWER sugar and clean a lot. Yourself and vacum, and bedding as much as possible. One I did not mention in an earlier post is fish oil. A vitamin I although think. I have finally made some headway and to the lady feeling "un-clean" no, your not. Try these things I and others suggest. Although the ones I mentioned will work. Give it a little time. I did notice sulphur works quickly. And the Coconut oil also. So God Bless all and we will overcome. (DR's think were nuts) but let them get it!!!! God bless and use these products and stay strong. Scars will fade with time and kinda blend in. Oh I pray for your legs and your whole being. Sand fleas... that Barb is not me. I'm apologizing to her, you, whom ever you are. I did not think to check because I know of no other Barb but me. Again I'm so sorry. I'm the gross old lady with tunnels and holes and sores on my arms and legs and neck and belly and back.. my face has a few pimple like spots but clear so far. I'm the old lady who can't go out of her home for fear someone will see me and think that my husband's wife is gross and dirty. I feel dirty and I have never felt that ever before. Makes me have empathy of another kind and that's a blessing now isn't it; to connect with another who needs to be touched and connected to? To love the unlovable deeper because of my own new experience. To whom much is given, much is expected. Riches... give it away. Sickness... share the cure or the pain's communion through compassion of a kind word or soft touch. We really must get this OUT... we are so many and yet no one knows we exist. The Doctors need to take us seriously. I dread calling in tomorrow but I've run out of urgent care options. My body is scarred and ravaged and ugly from parasites. I feel like calling out Unclean, Unclean but yet down deep I know this is just an illusion of this world and really in my Aba's world, this is the cleanest I've ever been because I'm closer to Him through this than I ever was before He did not come for the whole... nor did He come for the Torah follower, He came for the sick, the lame, the blind, the dying and dead... He came for me and I followed Him home to Aba who comforts me and I pray He comforts you too. Bot flies... YouTube... not exactly like what I have... too big... but if they were BB sized, I'd take that to the doctor and say THIS IS WHAT I HAVE except they don't hatch and leave, they are crawling through my skin and in and out of it. FIX ME. This I found too... YerMehah -יִרְמְיָה- Jeremiah https://www.blueletterbible.org/kjv/jer/8/22/s_753022 Is there no balm for US? I'm getting worse. I had a huge infection by my temple from a large population of bugs, eggs, larve whatever. When I pressed on the skin, I could hear popping noise like I was popping microscopic bubble wrap. So I went nuts and rubbed the whole area with the back of my comb. A few days later the area ballooned, burst and burned the whole side of my neck, chin and shoulder leaving two streaks that welted up about 1/2 inch. I washed it with bleach and sprayed it with calamine spray to dry it out. The rash began to dry two days later and dried to a heavy thick crusty scabby film. A week later, I washed the area again with bleach and the film softens and rubs off leaving behind all the tiny holes where the bugs tunneled in. A have seen a few white larva when I squeeze the wounds that won't heal. I get tiny black, fast moving, I mean really fast, that look like tiny thrips. The other temple has a bad spot now. The tiny holes and large holes are bad but the pop up, itchy tunnels are happening more and more every day. About 15 a day with most being about an inch in length. I saw an article about a little local boy who became sick from Bot flys. They are infesting the local squirrels but the worm/larva is too big compared to mine. Mine is a gray round ball about the size of a BB pellet. Going to call the doctor finally. I think I need my temple lanced or something. The rash was bad but then my whole body got involved like sepsis. The urgent care gave me Keflex and that helped. They won't touch me. They just say what do you want and then google my request and usually give me what I asked for, hence the Ivermectin, Albenza, and now the Keflex. Anyway... blessings to you and yours. Truly I hope whom ever reads this has a healing. I would give anything for anyone of you to just be over this. There's hope. We are the beginning and we can be what brings the cure. We just have to find strength in numbers and speak out into the media about this... a town hall of sorts. I've had to close the door to our ministry. I can't have people in our home for fear someone will be like me and catch it from me. It amazes me that my husband has no problems with these bugs but he suddenly has RA symptoms which I think is connected because it started the same time my bugs did... praise my Lord and give thanks he's at least bug free. These are probably "sand"fleas. I have dealt with yhis in past. In what area of country do you live? You dont have to be on a beach or in a desert. But Im trying to see a pattern for ALL cases. SEE A DOCTOR. And your primary care doc needs to refer you to either infectious disease or at very least a dermatologist. OR if your primary care doc knows their stuff you need a skin scraping and/or biopsy of sore. To identify. Now...the reason they arent healing is that the likely contain larvae of bug. It bleeds because the attach to a blood vessel. When you find one burrowed in asap hold ONE of these over site.1/2 strength vinegar OR 1/2 strength hydrogen peroxide OR aloe OR baking soda paste OR a salt scrub. Remember they begin laying eggs asap so if you find one you need to act right away. An oil containing peppermint and clove will also help. SEE YOUR DOCTOR. I cleaned sores with 1/4 strength hydrogen peroxide (3/4 distilled water 1/4 hydrogen peroxide. This helped remove larva and then an sntibiotic can then help heal. Antibiotics without cleaning out wound of larvae probably wont do much. In my case did not work at all. Again if you dont mind, area of country.. NOT address. Just generally. How sweet of you to mother that litter of kittens and get them well. I'm sorry that you may be suffering so severely as a result, if that is the source of your skin issues. I have to admit that although I can't specifically identify your condition, it is quite likely that you have indeed picked up something from them that is now plaguing you. It would be particularly helpful to know if you have any other health conditions (even if they are unrelated) as that can be an indicator of your best course of action, but I will give you my best suggestions based on what you have told me. First of all, I can't stress enough the importance of a good internal cleanse and some immune boosting supplements. Your body can only help fight with whatever tools you give it to work with. I use and suggest the AIM products most often because I am confident in their high quality. I've always achieved positive results with them. 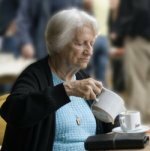 If you decide to take my suggestions on this, let me know and I will give you an exact protocol of how to take each one and what time of day, etc., for you to get the best results. If you are on a low income and can't afford the lot, the most important one I would focus on in your case would be the Herbal Fiberblend and then just try to eliminate as much sugar and junk food from your diet as possible and eat as nutritious as you can to give your body as much support as you are able from your food. Another suggestion I would make to you is to soak daily in a bath with sea salt or epsom salts and and several drops of an essential oil if possible. I would use clove oil, tea tree oil, or even lavender oil if you already have that on hand. 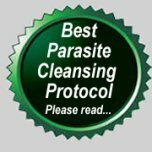 This will help heal your sores and has the added affect of being anti-parasitic and anti-bacterial. Finally, if you can pick up some organic cold pressed virgin coconut oil and apply that to your skin after your bath, that should help too. 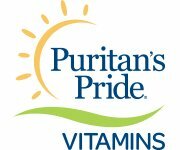 I usually buy mine from Puritan's Pride but you should be able to find some in a local health food store if you prefer. For this purpose, I would suggest you stick with the organic virgin coconut oil rather than a refined variety. Okay, well that's the best I can do with what I know of your situation. I wish you all the best. Please let me know if I can be of further help.